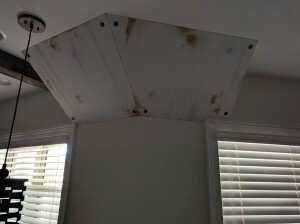 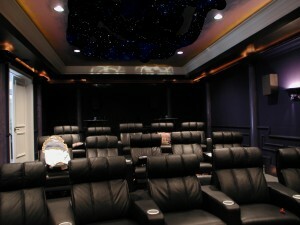 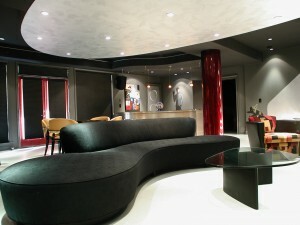 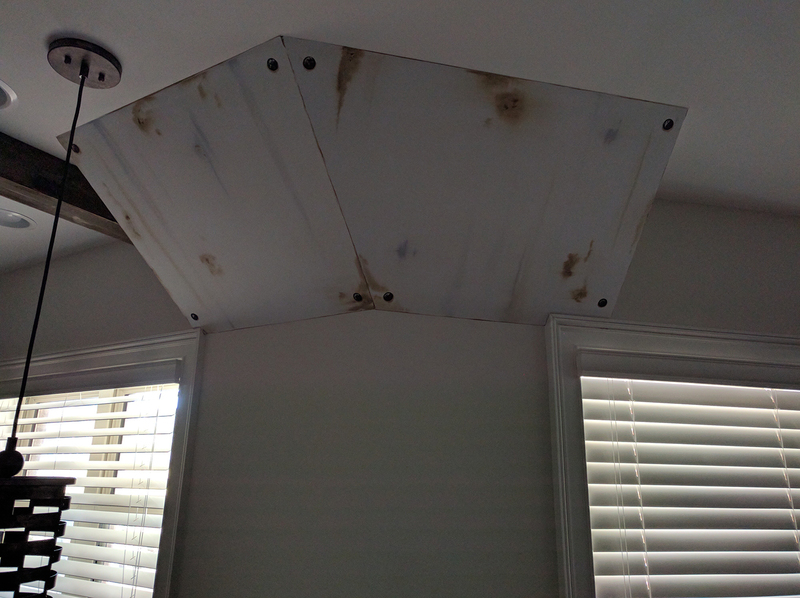 The darkness in a home theater gives us a unique opportunity to create dramatic finishes. 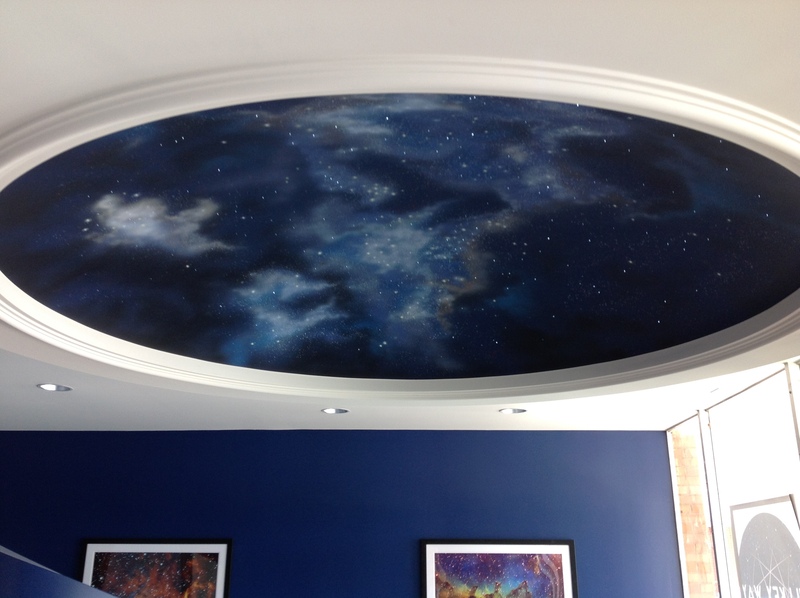 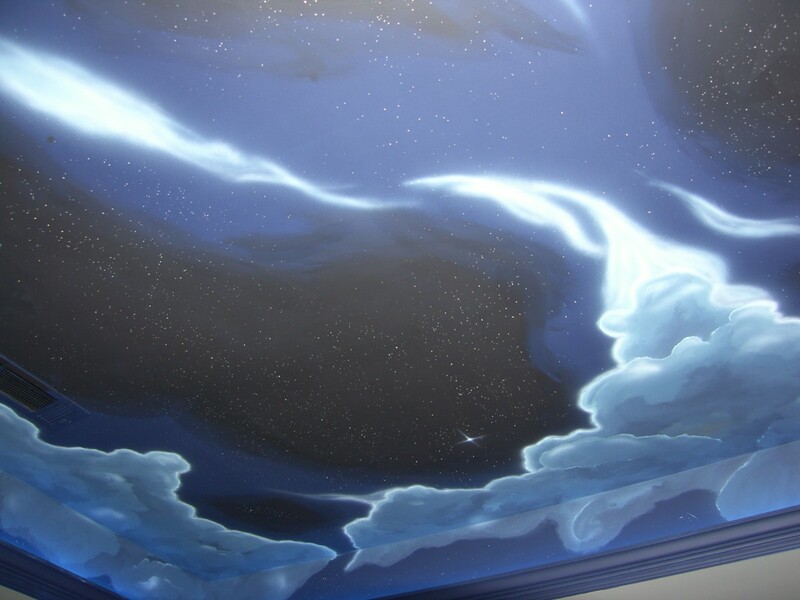 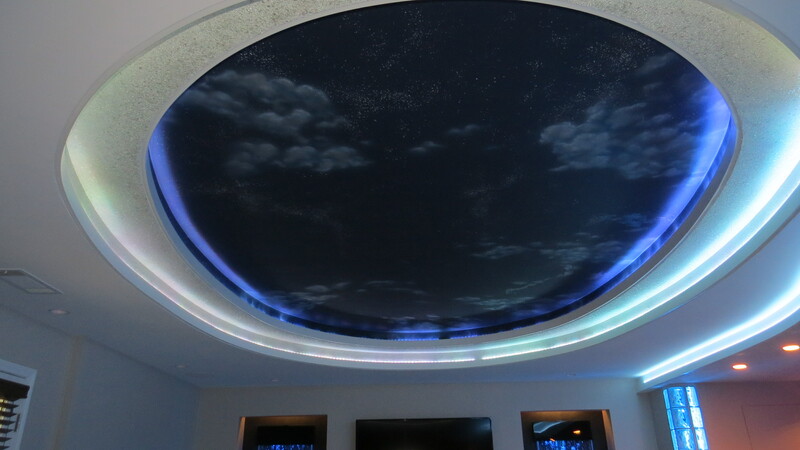 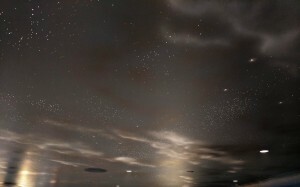 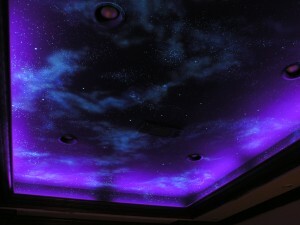 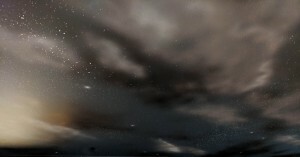 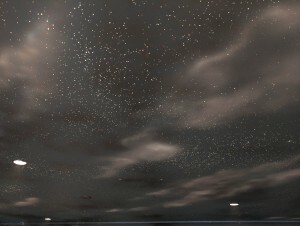 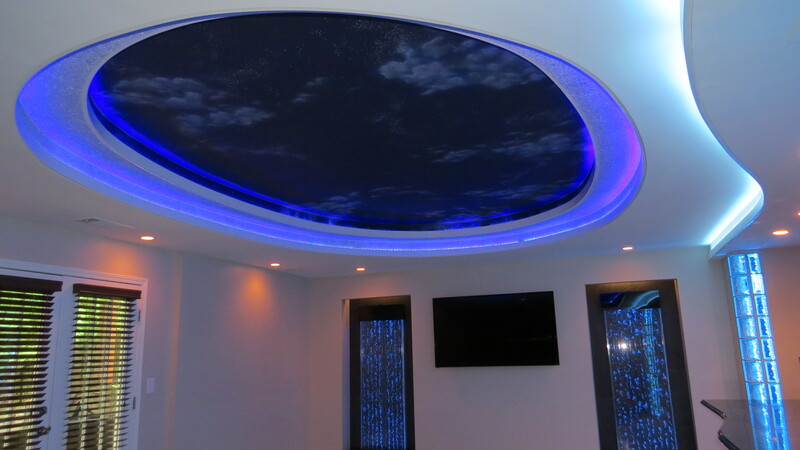 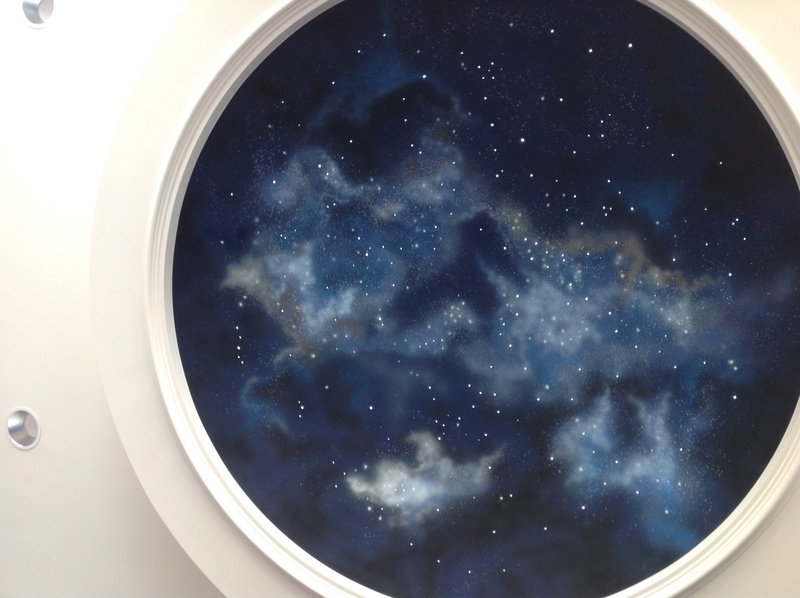 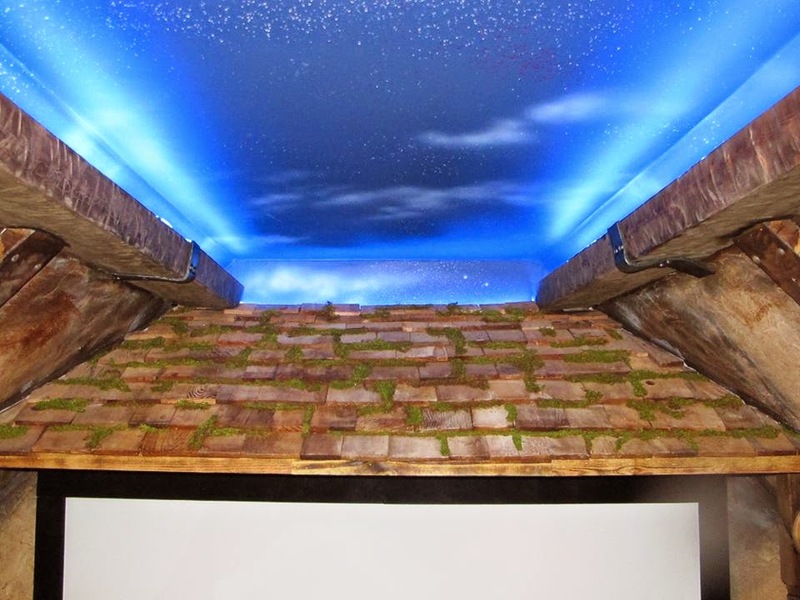 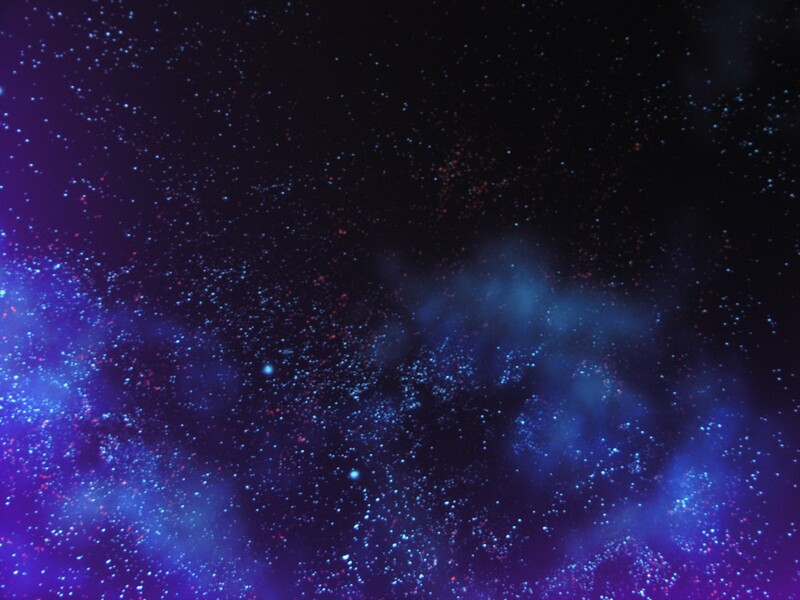 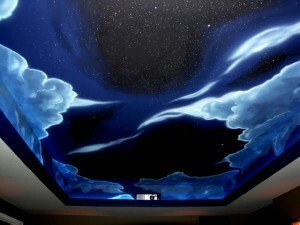 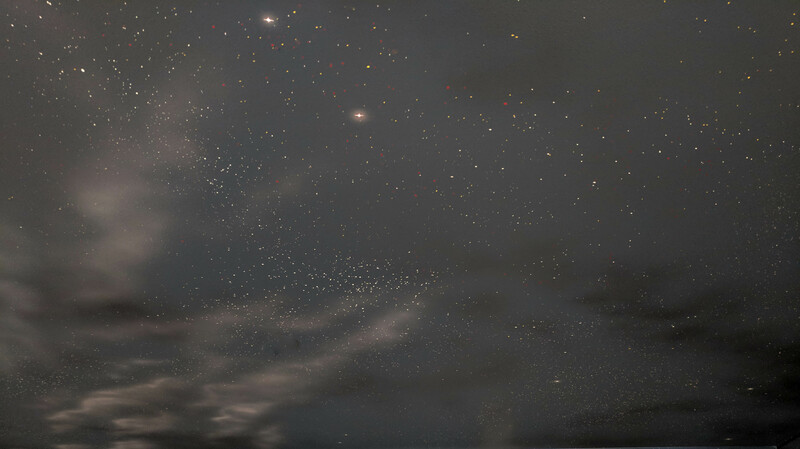 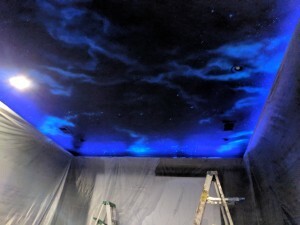 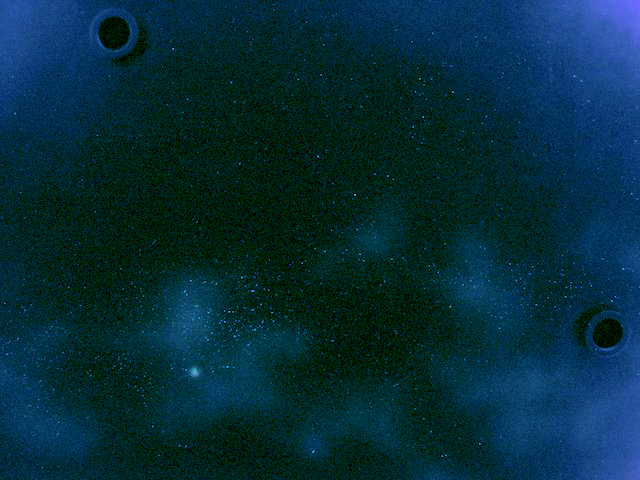 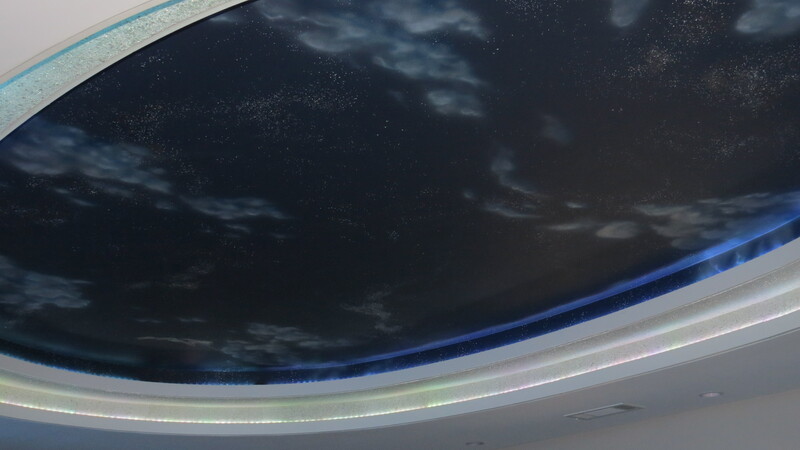 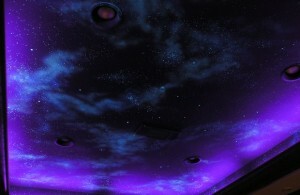 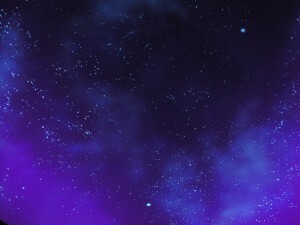 Fluorescent paints (with the help of black lights) can create wonderful night skies or celestial murals for your theater ceiling or walls. 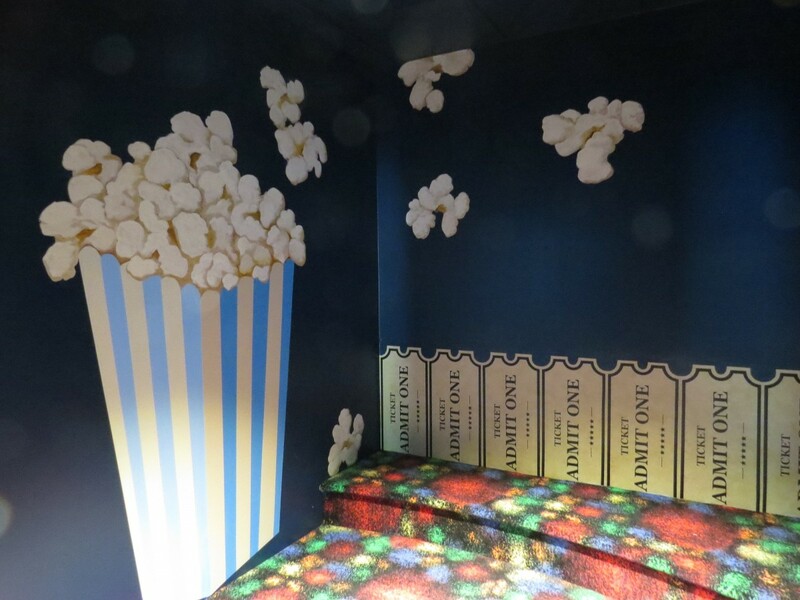 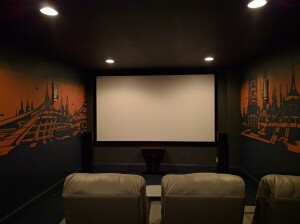 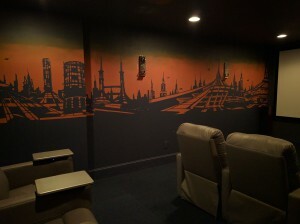 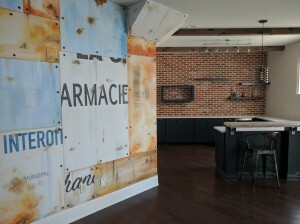 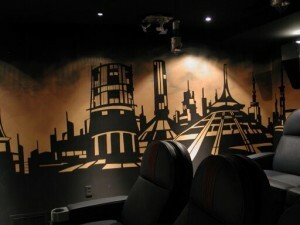 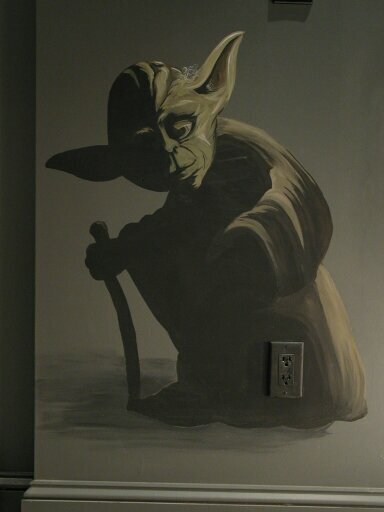 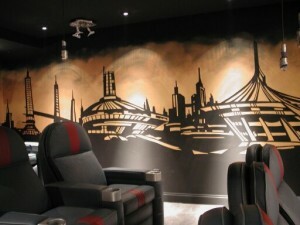 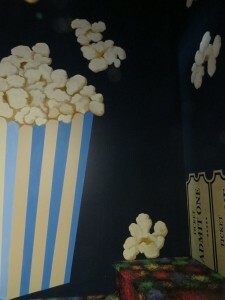 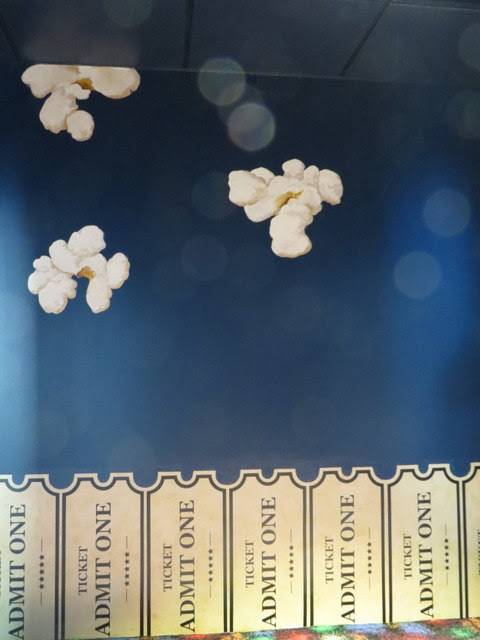 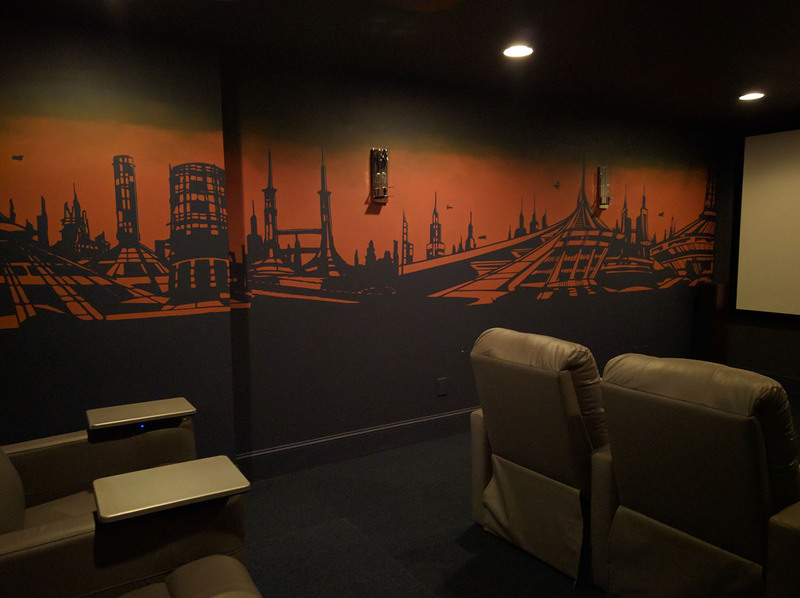 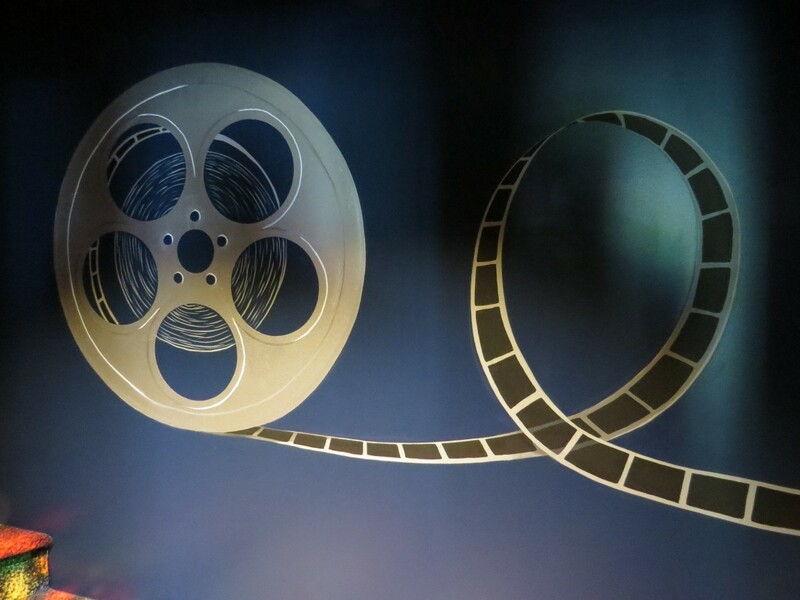 Your favorite film characters painted on the wall can set the mood for your movie watching experience. 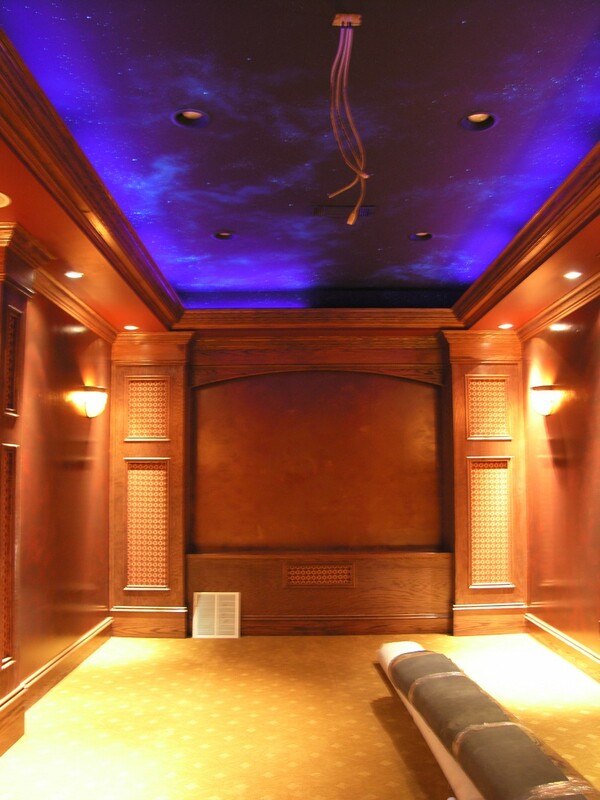 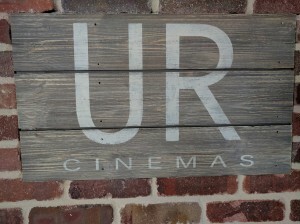 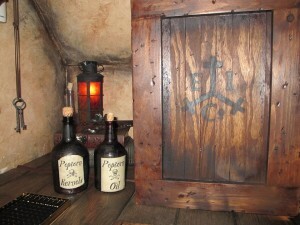 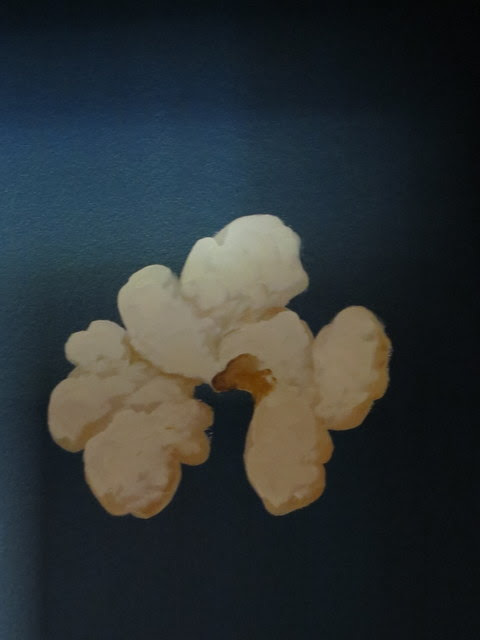 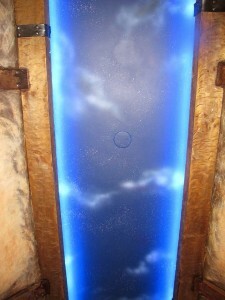 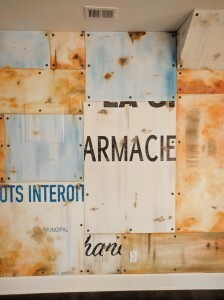 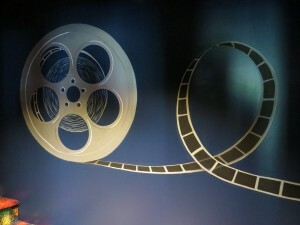 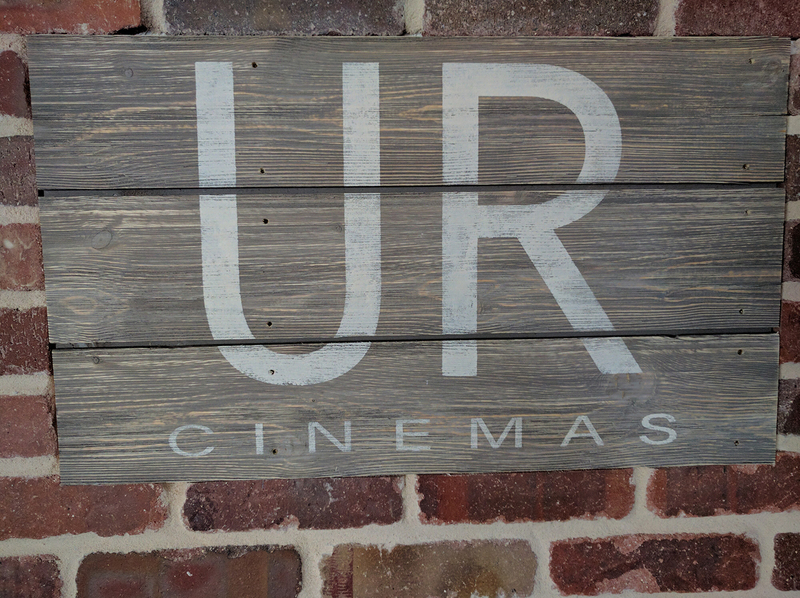 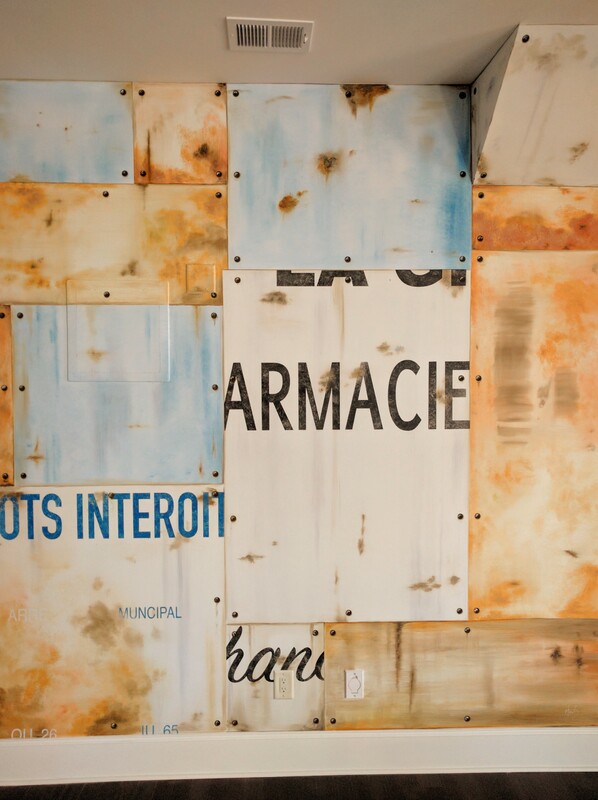 Custom faux finishes can further enrich the atmosphere of your theater.